If you use Shazam Red (Shazam)RED that your purchased for your iPhone, it is likely randomly quitting when you open it and try to Shazam a song. Sometimes, quitting Shazam and re-opening the app will get it to work correctly and you can Shazam a song fine. However, the problem will continue and there will not be an update to this app any time soon. To combat Shazam freezing, open up the app store on your iPhone and search for Shazam. You will notice Shazam RED no longer showing up in search. The new Shazam app is blue and it is a free upgrade to the Red Shazam. 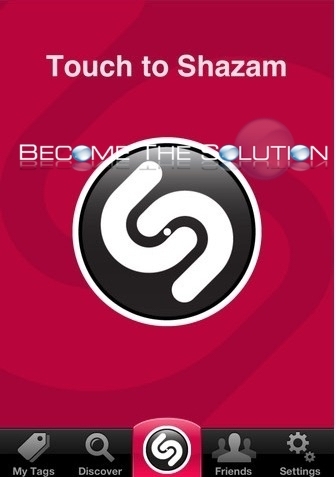 Download the new Shazam and install. You will be prompted to upgrade for free in the screen below. You will have 2 options. Shazam(Red) for iPhone did not push a notification to users that the new update was necessary. It seems the new blue Shazam will now be supported and this fixes the Red Shazam crashing. Don't seem to work as described. I have the (Shazam)RED and downloaded the blue one. Can't find the window as described above. Tried to restore purchase but no luck. It's free now I believe. Just search for "shazam" and it should pop up in App Store. 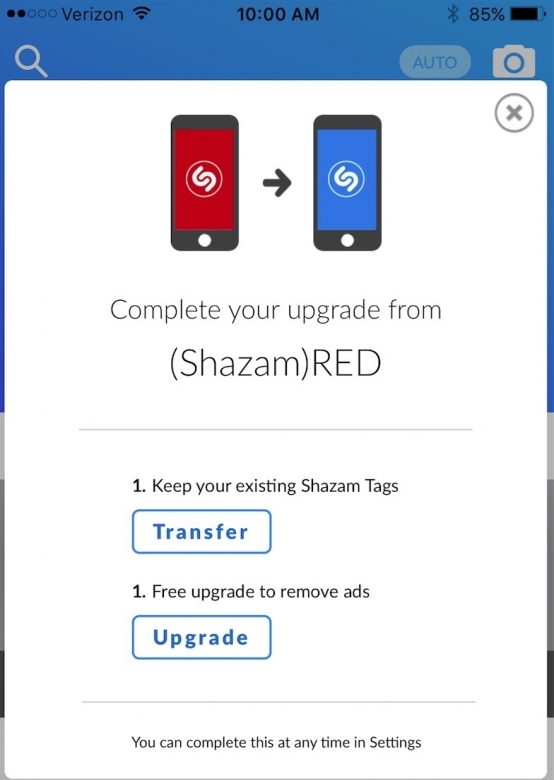 I believe there was an upgrade path from red to blue originally, so try to see if you can just install shazam blue fresh without ads.